In mechanical installations FLU.Project provides engineering services to three hundred sixty degrees, covering all areas: offices, commerce, industry, hospitals, accomodation, telecommunications, culture, schools, community and residential. Starting from feasibility studies and the technical and economic evaluations in the project planning phase, FLU.Project manages the development of all phases of both the design (concept, preliminary, final and executive detailed with the development of 3D models with BIM) and implementation (Works Management, Operations Management, accounting, start-up and commissioning, functional and technical-administrative testing). 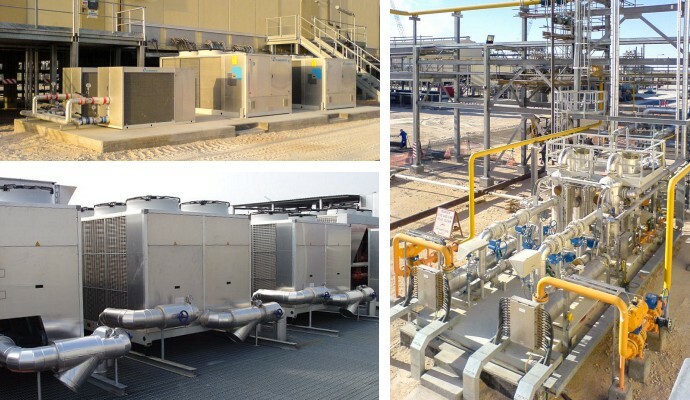 FLU.Project can provide both designs that ancillary services for air conditioning, heating, fire fighting, water-sanitary, gas networks, aqueducts and sewers, steam and process plants. Engineering of FLU.Project uses the relevant skills and experience in electricity field to ensure design and an execution perfectly “defined” in all its components ensuring both comfort and minimal use of primary energy. Mario Lucarelli, Enrico Malà and Marco Braccalenti are the mechanical project managers. They coordinate all phases of services in any implementation. FLU.Project ensures complete development of systems engineering by providing services to support the design of mechanical systems through the design of the electrical power and control systems. The coordinated and integrated design of an installation allows high quality, homogeneous and “monolingual” results with a considerable savings in their implementation. Starting from simple temperature control systems and up to complex Building Management (DDC, etc.) the project selection and development are managed according to the specific characteristics of the building-plant system with a focus on implementation costs but also to reduce primary energy consumption. In all areas such as commercial-office, trade, industry, hospitals, hotels, etc., FLU.Project provides design, project management, accounting and assistance in the process of awarding contracts for all electrical and related such as lighting (and lighting surveys), motive power, data networks, alarms, fumes and gas detection. In recent years, exploiting the development and deployment of such systems, FLU.Project has developed numerous and significant experience in Home Automation using the most of its relevant knowledge on technical systems (both electrical and mechanical) and applying domotic to Facility Management in order reduce energy consumption. Marco Valigi and Marco Braccalenti are the electrical and BM project managers. They coordinate the development of all phases of services in any implementation. FLU.project has thirty years of experience in the design of active and passive safety systems for fire prevention, cooperating with architectural and structural designers since from the concept phase. The technical specialists in fire prevention are in close collaboration with other professionals always searching for the less intrusive solutions. They develop designs to be submitted to the Fire Department to obtain nulla-osta for installation viabilities. During system implementation they ensure the required management and, once installation is completed, they perform all the functional testing of active and passive systems leading to the release of test certificates. FLU.Project has an extensive experience in trading, industry, public entertainment, schools, commercial-office, hospital and residential both for new buildings and for regulatory compliance of existing structures. 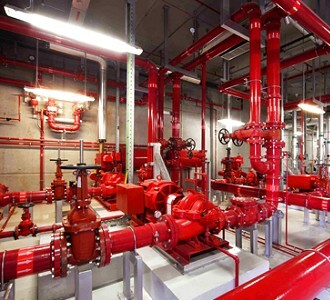 FLU.Project provides to the end customer an integrated design that includes both passive and active fire fighting systems, manual (hydrants, fire hoses, fire extinguishers) and automatic (sprinklers, water mister, clean agent) entirely developed in both mechanical and electrical. Claudio Cicogna and Michele Bartoccini are the project managers for fire prevention systems and coordinate all activities leading to the final approval. Studio Associate FLU.Project is mainly specialized in the design of mechanical, electrical and fire-prevention systems, but also provides other important services in fields that are complementary and related to installation. 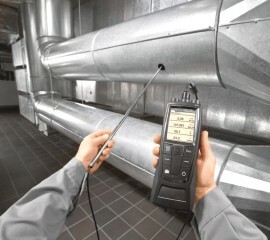 FLU.Project, with its extensive experience in acoustics and its high technological and certificates tools, performs audits of “acoustic environment”, designs and acoustic sound level measurements in both outdoor environments (for assessment of acoustic impact and acoustic climate) and indoor (for in place verifications of passive acoustic requirements), in civil and industrial installations. To support the project activities on environmental sustainability and the reduction of primary energy consumption FLU.Project performs surveys on the characteristics of building envelopes (Legislative Decree no. 192/05, Legislative Decree 311/06, Law 10/91), processes energy performance certificates of new and existing facilities. 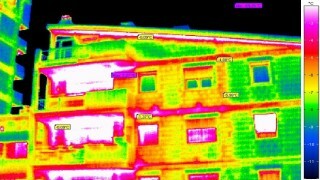 It performs energy audits to identify actions for the energy requalification in existing facilities. To face recent but widespread request for modeling system design in 3D, FLU.Project has set up software, hardware and experienced operators to provide adequate response to this growing demand. 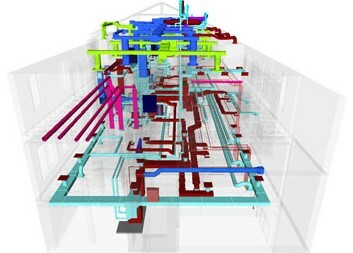 In addition to the Building Infomation Modeling (BIM), for the development of its mechanical 3D design FLU.Project currently uses applications for AutoCAD that can process design of systems for ventilation, air conditioning and water-sanitary with fine details on path and interferences with other installations, as well as obtain an accurate and reliable list of used materials. FLU.Project has developed numerous and significant experience in the start-up and commissioning of the HVAC system, fire and water all over the country and especially abroad with the management of all operations of final delivery of the works to the customer. With many modern tools, all certified, FLU.Project can ensure accurate measurements, testing and verification of flow of air and water, differential pressure, temperature, humidity, noise levels, fire hydrants, fire hoses, hydrants, sprinklers, analysis of network quality as part of civil electrical installations and industrial, electrical detection of network parameters (voltage, current, power, power factor, energy, etc …), harmonic analysis of voltages and currents, analysis of anomalies on supply voltages . For a “complete” job management, in addition to design, construction supervision, testing, start-up and achievement authorizations, FLU.Project can ensure coordination during design and run-time jobs under the Legislative Decree . 81/2008 relying on qualified technicians and experts.